Bihor County is located in northwestern Romania. The landscape is varied including plains, hills and mountains. Oradea, the county capital, is placed in a hilly area on the banks of the river Crișul Repede. The river runs through the center of Oradea its meadow being a particularly attractive element of the city. – Museum of Romano – Catholic Diocese housing a valuable treasure consisting of furniture, old books, religious objects, religious vestments, paintings, icons, etc. – Gallery of Visual Arts that promotes and sells works of contemporary artists. Oradea is No. 1 in Romania for the area of green space allotted to each inhabitant (25 m2), for which it received the title of Green Capital for one year, in 2011. In the city there are several parks, creating quiet and green oases. They are situated especially in the downtown area. The oldest ones host secular trees and the newest host modern landscaping. Oradea has a star-shaped fortress with historic triangular bastions. The Fortress included stone homes, 10 shops, 3 mills and a prison. It was recently renovated. Baile Felix– located 6 km from Oradea, are known for their thermal waters beneficial for many affections. The resort is the largest in Romania with permanent operation. 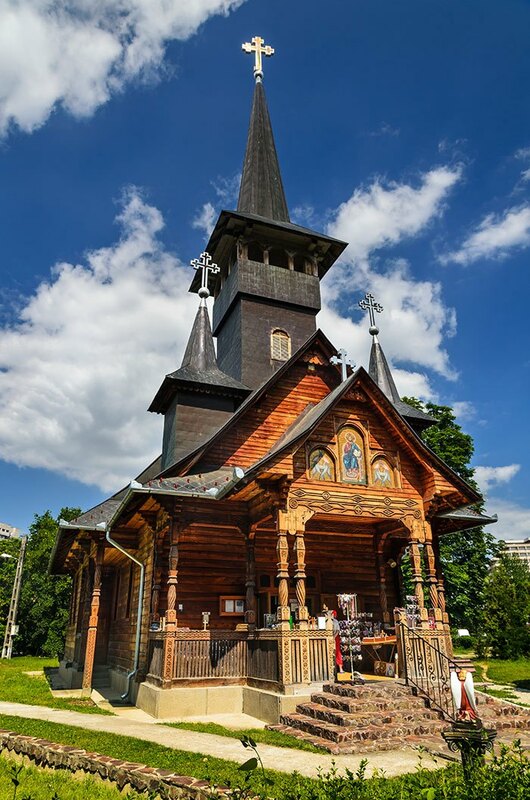 It is also an important tourist landmark with lakes that have water lilies and lotuses, Nature Reserve “Pârâul Peța (Peța Stream)”, Aqua Park Pool, karst on the Şomleului Hill, the wooden church Brusturi, etc. Stâna de Vale Resort – is a resort for relaxation and treatment with tonic bioclimate and mineral waters located in the mountains Vlădeasa. In the resort area there are particularly attractive sights. Among these famous Cave of Bears attracts over 200000 visitors a year. Cave which took its name from the many cave bear fossils found here, is structured on two levels, of which only the upper one can be visited by tourists. Its discovery is relatively recent, first exploration dating from 1975. Leşu Lake – is related to hydroelectric plant with the same name. He entered the tourist circuit due to the small holiday village formed at the end of the lake which is a place of refuge and relaxation in nature. Padiș tourist area, located in the Apuseni Natural Park is ideal for camping and hiking trails to natural targets such as Cetățile Ponorului (Ponor Citadels), Poiana Florilor (Flowers Glade), Poiana Vărăsoaia (Glade Varasoaia). Karst Plateau Vașcău – Călugări – is an area rich in karst phenomena of which are remarkable the Intermittent Spring of Călugări and the lake Tăul lui Ghib.